If your athletic endeavors refuse to be confined to a mere single sport, then you'll be happy to know that the Forerunner 735XT is Garmin's smallest form-factor multisport watch yet, and it features an Elevate™ optical heart rate sensor as well, making it both compact and incredibly convenient. 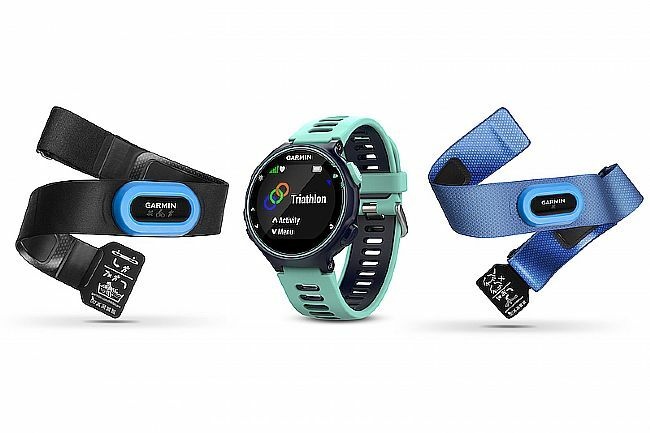 This TRI-bundle version includes both HRM-Tri™ and HRM-Swim™ heart-rate straps for capturing advanced running dynamics as well as storing heart-rate data during open-water or pool swims and forwarding the information to the watch once you're out of the water. GPS + GLONASS reception makes for accurate location measurements even under tree cover or in dense cities, and a vibrant 31.1 mm diameter color display makes it easy to read all your stats in a single glance. An auto-multisport mode means you can switch between sports with a single button press within the same activity, and the Forerunner 735XT has profiles for profiles for running, cycling, swimming, XC skiing, paddle sports, trail running, hiking, and strength training. Connect IQ support opens up the Forerunner 735XT to thousands of custom workouts, widgets, watch faces, data fields and apps for personalizing the watch. 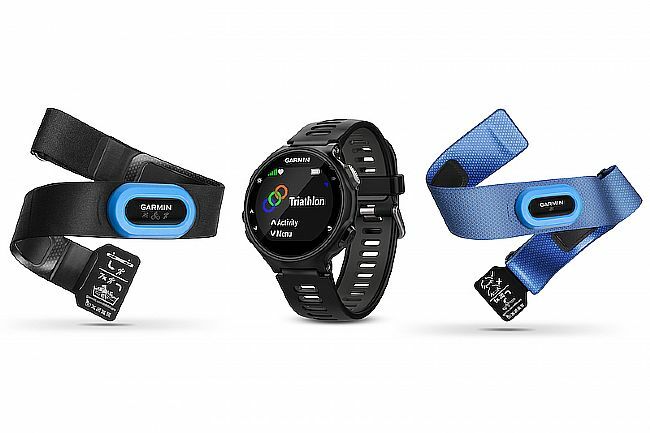 Bluetooth connectivity allows pairing with a smartphone to receive text, call, and email notifications directly on screen, plus the ability to control music playback, and automatic activity uploading to Garmin Connect either by smartphone or WiFi makes logging your runs, rides, and swims as streamlined as your triathlon transitions. Available in multiple colors. Includes Forerunner 735XT watch, HRM-Tri heart rate strap, HRM-Swim heart rate strap, charging / data clip, instruction manual. Dimensions are 44.5 x 44.5 x 11.9 mm. Claimed weight is 40.2 g.
I had the 910 and it wasn't always working properly. Instead of getting a refurbished one from Garmin, I decided to upgrade to the 735. It does everything that the 910 did, but way better. I've started using it as a everyday watch in addition to about 1.5-4 hours of workouts each day. Battery life is great, I still only charge it a few times a week while I'm showering. I really like the fact that it self calibrates the footpod. The swimming heart rate monitor is pretty awesome too. Was away of Garmin, after a while using Suunto (Ambit3 Sport). Indeed the robustness of Suunto hardware stands out when you compare to the lightweight nature of these latest Garmin.